Are you a Windows Server administrator now tasked with managing Linux servers as well? Are you interested in consolidating your hypervisors and management tools for both Windows and Linux workloads? 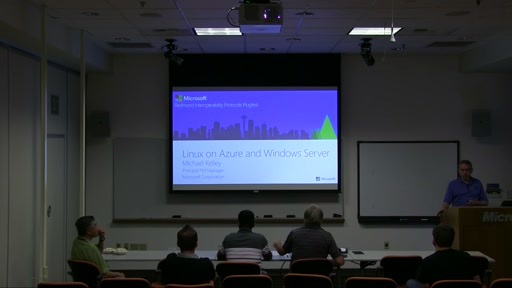 Get an overview of Microsoft solutions for Linux in the private and hybrid cloud. Learn about Linux running on Hyper-V and the Linux management capabilities in the Azure Pack, Configuration Manager, Virtual Machine Manager (VMM), and Operations Manager. The session is demo rich, showing a broad set of features for integrated management of Windows and Linux computers from the perspective of the Windows administrator.